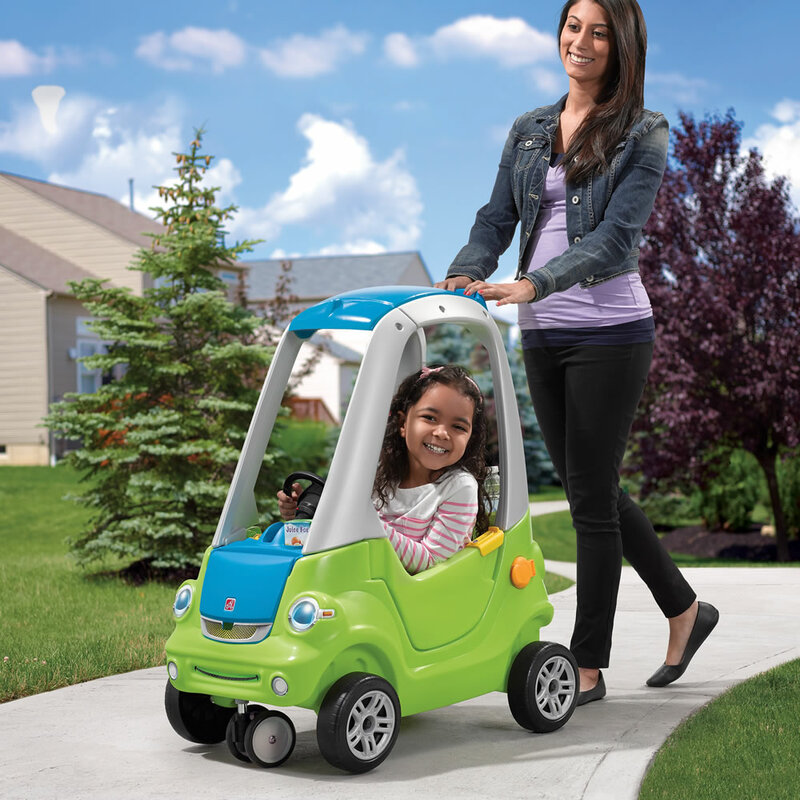 The Step2 Easy Turn Coupe makes it simple for youngsters to go cruisin’ around the neighborhood! 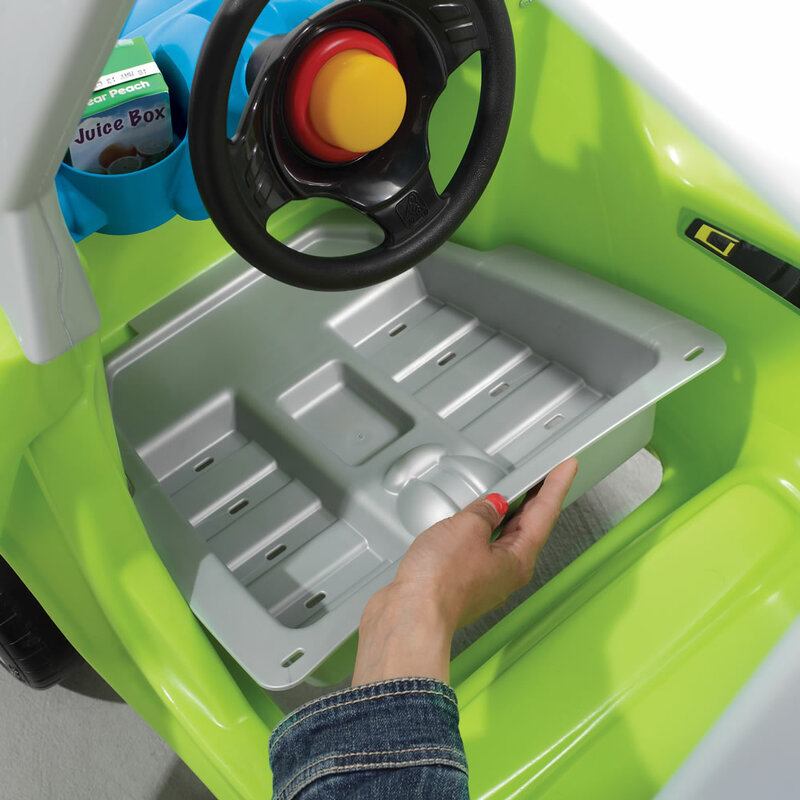 It has a removable floorboard, which turns this push buggy into a kid powered riding toy. 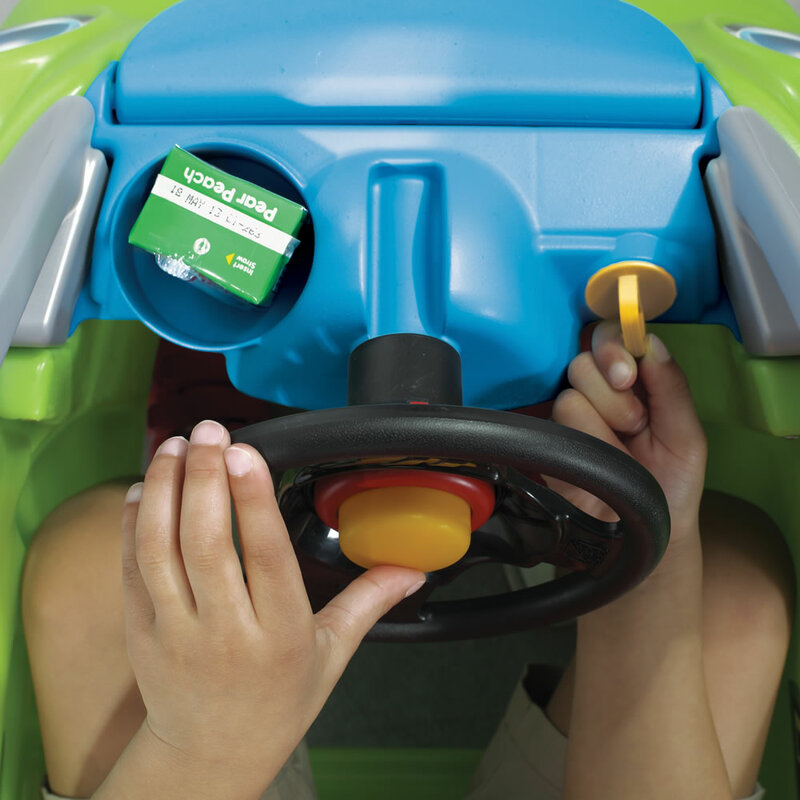 This green ride-on will develop children’s gross motor skills when they use their little legs to power this toy car. 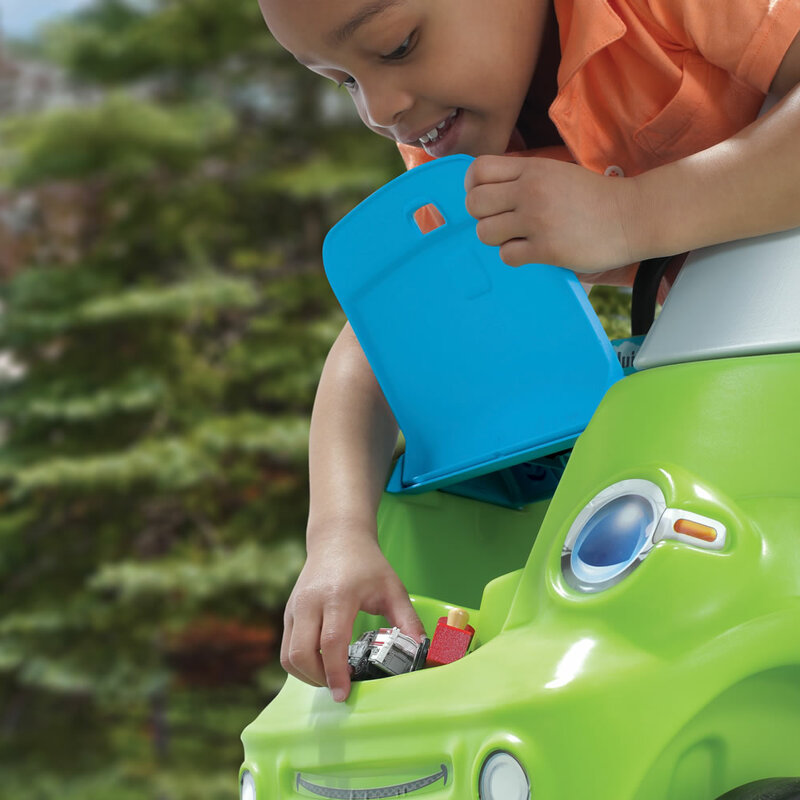 This Step2 ride-on is perfect for a stroll! 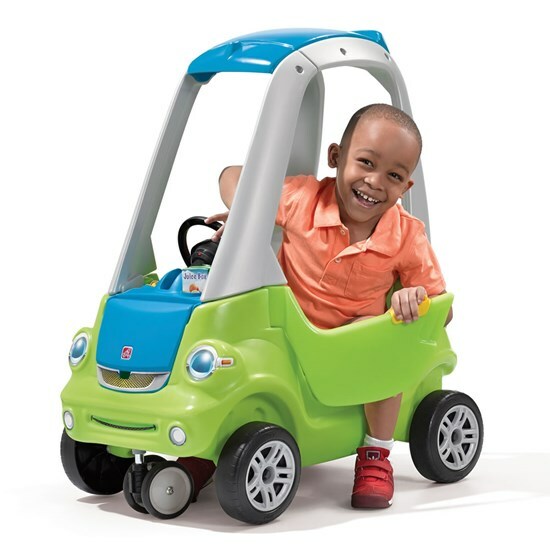 Made in USA of US and imported parts from China.